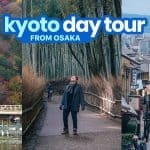 If you’re still trying to build your DIY TOKYO ITINERARY, here are some samples for 1 DAY (LAYOVER), 2 DAYS (OVERNIGHT), 3 DAYS, 4 DAYS, 5 DAYS, 6 DAYS, 7 DAYS (1 WEEK), and 8 DAYS with budget estimates and list of expenses. You may use these to get started with making your own. Tokyo is a vibrant city. Its towering skyscrapers, monuments, historic shrines, hole-in-the-wall restaurants, and glitzy shopping centers make it an all-in-one metropolitan destination. The Japanese capital has countless dimensions. It is undoubtedly modern and futuristic. A walk around Akihabara or Shibuya will prove that in no time. It has an ancient side too, as reflected in its centuries-old shrines. It is busy and electric, but it also has many green spaces to relax, unwind, and get away from the hustle and bustle. 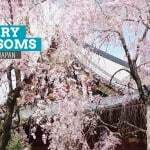 Shinjuku, Yoyogi, Ueno, and Kiyosumi are just a handful of parks where you can enjoy the cherry blossoms or the vibrant colors of autumn. 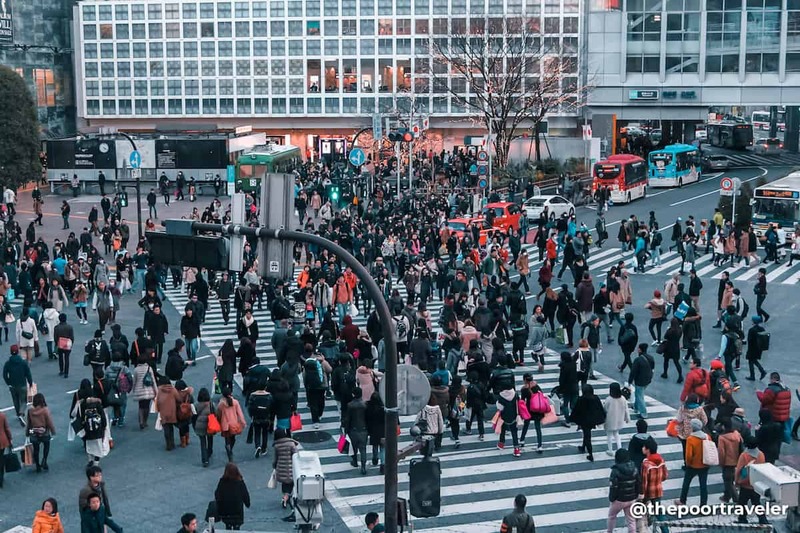 Tokyo is a beautiful concrete jungle that mixes old and new, man-made and natural, and has a buzz for those looking for a good time. 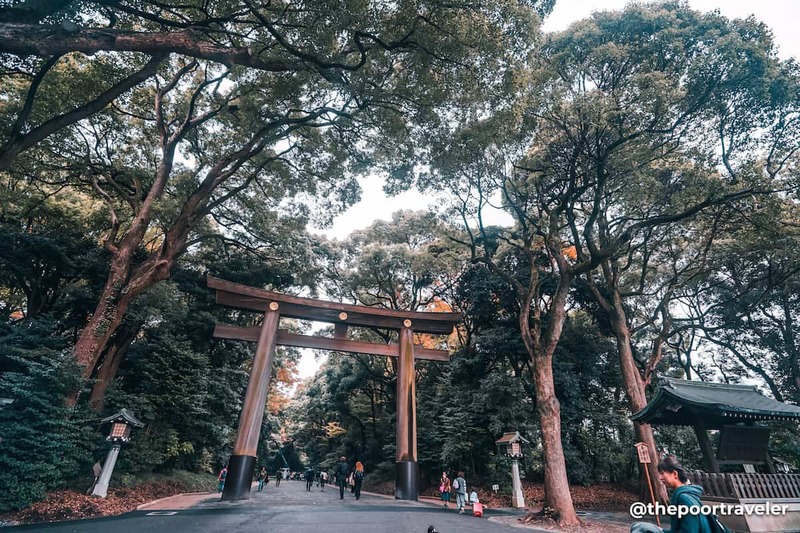 As the country’s biggest transportation hub, Tokyo can also serve as your base for day trips to other prefectures or attractions just outside the metropolis. You can go to Mt. 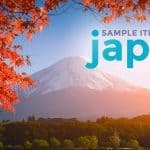 Fuji, Fuji Five Lakes, Yokohama, and Kamakura. If you’re planning a trip to Tokyo, here are some of our recommended sample itineraries with breakdown of expenses. The 1-Day itinerary assumes you’re coming from Narita International Airport. All other itineraries assume you’re staying in Ueno. I have already explained in our Tokyo Travel Guide why Ueno is my pick. if you haven’t read it, here it is: Tokyo Travel Guide. Book your tickets and tours with Klook.  I have provided links where you can purchase tickets or book tours. These are affiliate links, many of which offer discounts. You’ll also help our blog in the process if you purchase tickets via Klook. The fares and prices are just estimates. It’s meant to give just a ballpark figure. The exact number may vary. Estimated costs do not include shopping budget and other expenses that are not indicated. The times are just suggestions and not exact. It’s meant to establish around what time you should be doing things. For example, for the train times, these are not the exact departure or arrival times. It’s just a guide. Always consult Hyperdia for more precise timing. As always, feel free to make necessary adjustments to match your situation, needs, and preferences.  Before we get to the actual itineraries, you might want to reserve a pocket wi-fi in advance. 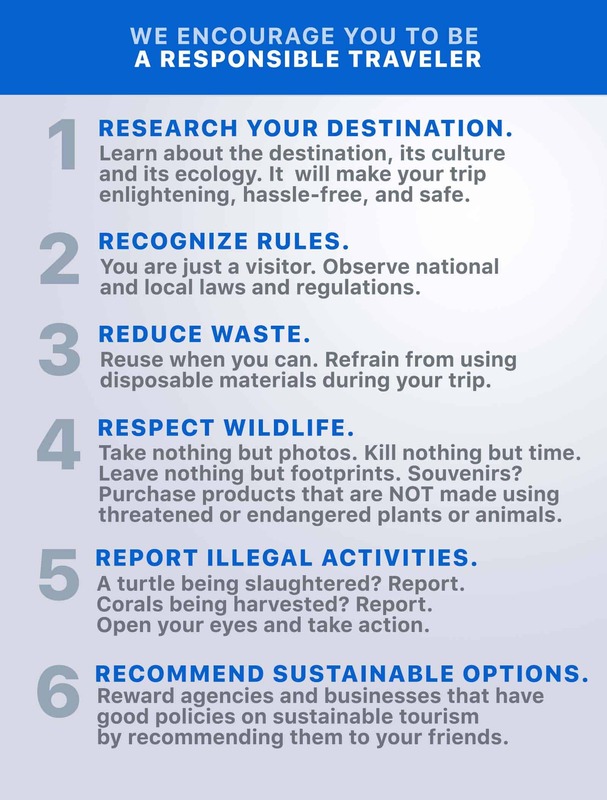 It will make your exploring hassle-free! It’s also cheap, especially if you’re a group. It can accommodate multiple users so if you’re a group, you just need one and split the cost. You’ll find a lot of them around, even at the airport. However, based on experience, they are so in demand that every time I try to get one, there’s always none left. Fortunately, with Klook, you can reserve one and just pick it up at the airport! 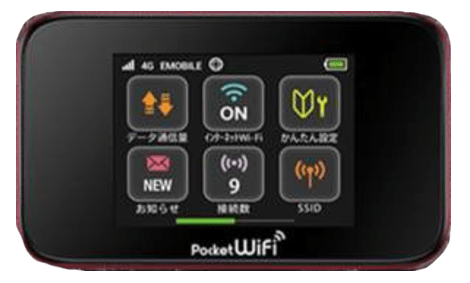 ✅ RESERVE A POCKET WI-FI NOW! Tokyo is a hub for flights in and out of Asia and into Europe, the Americas or the Middle East. 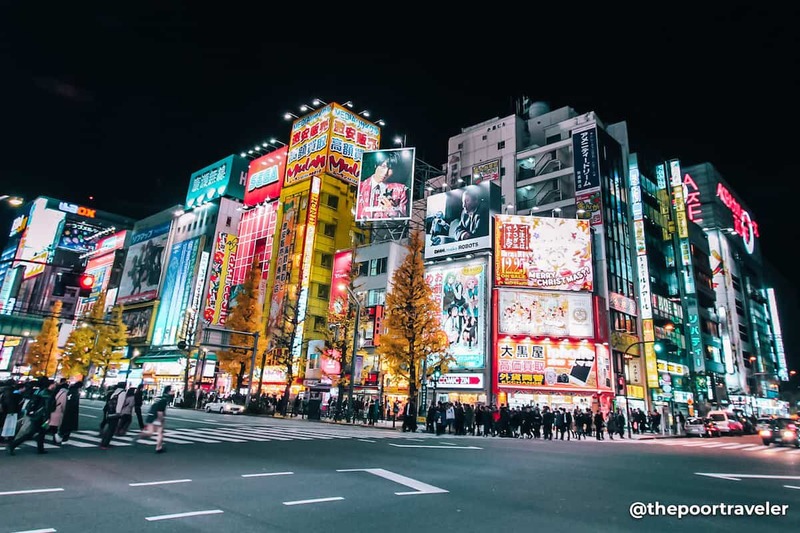 A day layover isn’t enough to discover this vibrant metropolis; however, if that’s all the time you have and it’s your first time, we recommend that you explore Tokyo’s Shibuya ward. This itinerary will let you see Tokyo’s rich past and eccentric present as well as give a taste of its food, shopping, youth culture, and madness. The itinerary above will cost you at least ¥5700, excluding shopping money. If you’re traveling with kids and you’re more of a theme park person, then you might want to check out Disney Sea or Disneyland. Between the two, we recommend DisneySea. Tokyo Disneyland looks and feels like any other Disneyland in other parts of the world. But Tokyo is the only city with DisneySea. 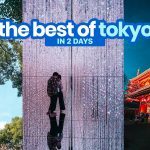 If for whatever reason, you only have two days to see Tokyo, then make the most out of it. We recommend that you stay in Ueno because there is a cheap, direct train from Narita Airport, which means you won’t have to go around the city with large luggage in tow. Ueno is also close to Ueno Park and Akihabara. You can also stay in Shibuya area. The itinerary above will set you back at least ¥8900, excluding hotel and airfare. A 3-day itinerary will give you a good taste of some of the things that Tokyo is best known for. 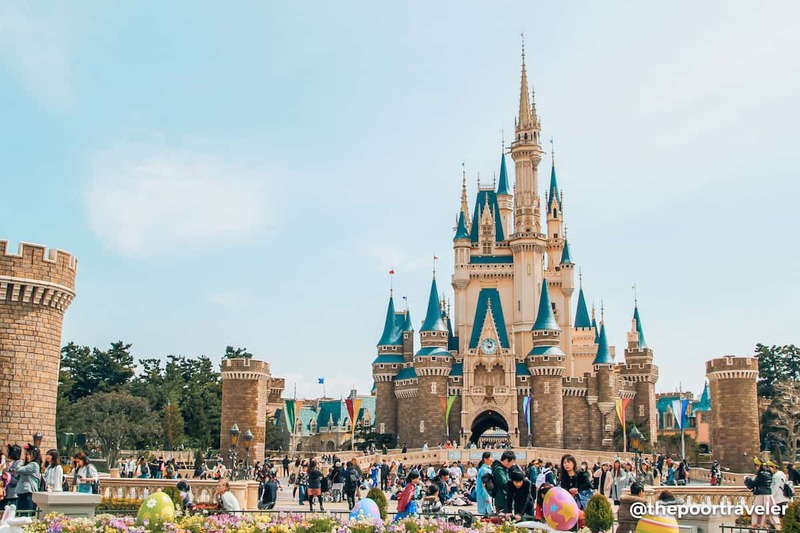 The itinerary below will take you to Ueno, Akihabara, Shibuya, and Tokyo Disney Resort! 09:00am – Disneyland/DisneySea, ¥7400, Book Here! For the itinerary above, prepare to shell out at least ¥21,000, excluding accommodations and airfare. Note that the biggest bulk of the budget went to Disneyland. Staying for four days will allow you to see not just Tokyo but nearby wonderful attractions! In this 4-day itinerary, we added a day trip to Mt. Fuji and surrounding destinations. Klook offers a slightly discounted day tour of Mt. Fuji. It’s a Chinese-speaking tour, but there are English audio guides available. The pick up point for this tour is Shinjuku Prince Hotel, which is near Seibu-Shinjuku Station. It’s also accessible from Shinjuku Station. 09:00am – Disneyland/DisneySea, ¥7400, Reserve Here! If you wish to follow the itinerary above, prepare to shell out at least ¥31,000, excluding the hotel and airfare. 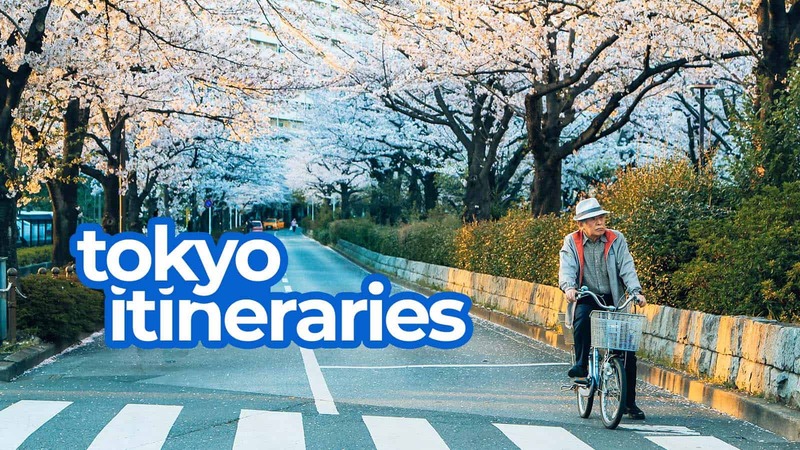 In this itinerary, we added a trip to Tsukiji Fish Market for an unforgettable serving of fresh sushi and to Sensoji Temple and Tokyo SkyTree for a look into the city’s incredible past and futuristic present! Klook offers a Tokyo SkyTree + Asakusa Tour combo. The tour will take you to Senso-ji Temple and Nakamise Shopping Street before heading for Tokyo SkyTree. 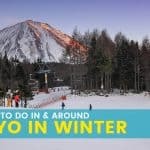 For this itinerary, prepare at least ¥42,000, excluding hotel and airfare. There is a way to reduce the cost. If you skip the group tour, drop SkyTree, and just explore Senso-ji and Asakusa on your own, you’ll be saving around ¥6000. This lowers the total cost to only ¥36,000. For this itinerary, we’re adding a trip to Odaiba only and squeezed it in the middle of the week. The five day itinerary above is already packed and busy as it is, so I’m adding just a day when you won’t do much touring but just explore at your own pace. Odaiba is perfect for that. If you’re celebrating a special occasion, you might want to consider joining a Tokyo Bay Dinner Cruise. 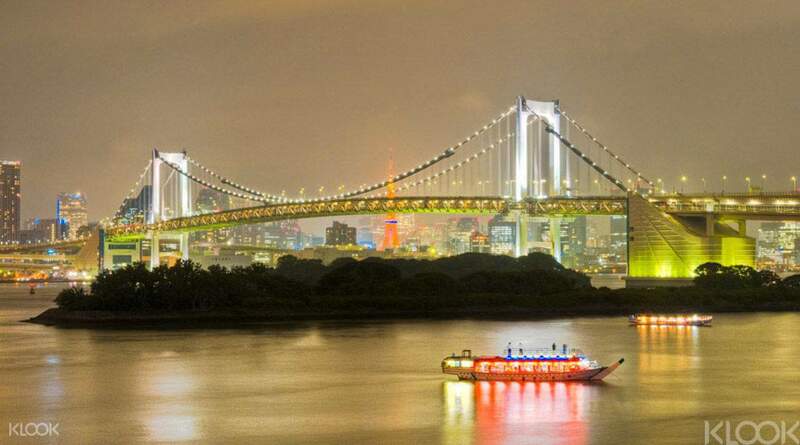 This will treat you to a full-course meal as you admire Tokyo Bay’s majestic city lights! The itinerary above will set you back ¥52,000 excluding the airfare and accommodations. Note that the bulk of the cost on Odaiba day is spent on the dinner cruise. If budget is tight, you can skip the dinner cruise and just have a regular dinner. If your dinner budget is ¥1000, you’ll be saving ¥7000, bringing the total cost down to only ¥45,000. 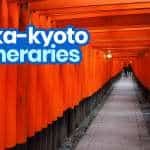 You can further reduce the cost by skipping the Asakusa Tour and SkyTree, and just pulling a DIY visit to Sensoji and Asakusa. If you do this, another ¥6000 will be slashed off the expenses. The total will only be ¥39,000! Sightseeing for 7 days straight can be extremely exhausting, so instead of devoting another day to tours, I’m just adding a rest day. This way, you can relax and recharge! Take this time to just walk around the block, eating anywhere you like, or just rest! This itinerary will cost you ¥54,000, excluding the airfare and accommodations. Much of the cost is for the Tokyo Bay Dinner Cruise and SkyTree + Asakusa Tour. If you skip both and just have a regular dinner on Odaiba Day and just explore Asakusa on your own, the total cost will go down to only ¥41,000, excluding hotel and airfare. 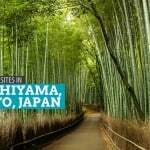 If you have 8 days to spend in Tokyo, try to visit nearby destinations outside the city. 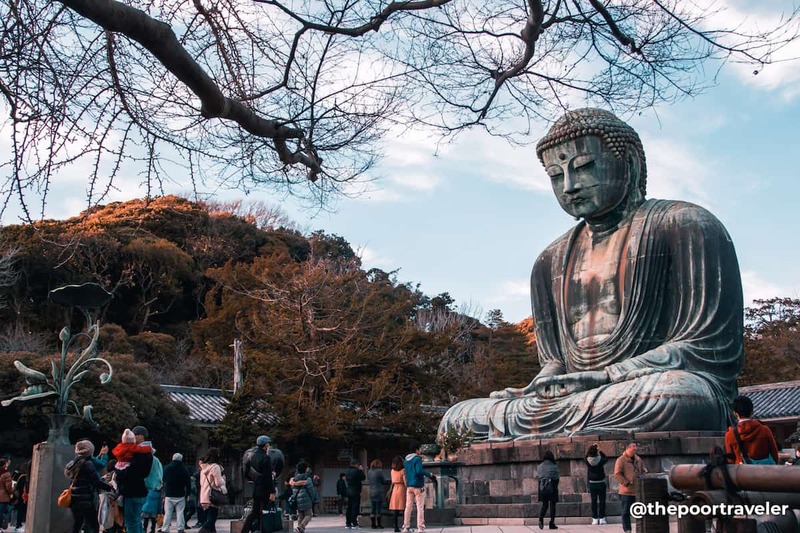 Two of our favorites are Yokohama for their ramen museum and Kamakura for their temples and a giant bronze statue of Buddha. If you follow the itinerary above faithfully, you have to shell out at least ¥60,000, excluding the airfare and accommodations. Much of the cost is for the Tokyo Bay Dinner Cruise and SkyTree + Asakusa Tour. If you skip both and just have a regular dinner on Odaiba Day and just explore Asakusa on your own, the total cost will go down to only ¥47,000, excluding hotel and airfare. 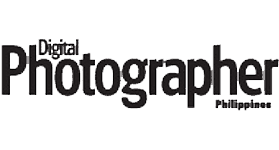 Intro written by Joshua Berida. Itineraries prepared by Yosh Dimen. 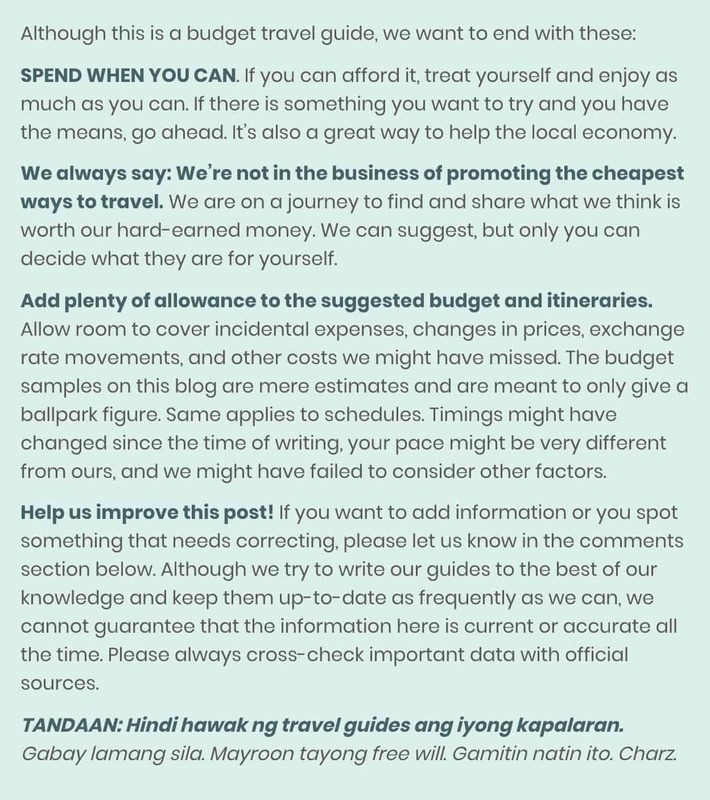 If I were to follow your 5 day itinerary, what kind of travel pass would best suit my family? We’re a group of 10. Hi Jennifer, none. The itinerary doesn’t require that many train rides. im torn between sticking to the ICOCA card(coz i’ll be coming from osaka) and TOKYO Subway pass. 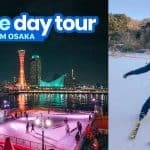 If i were to follow your 5-day itinerary, do you recommend buying the JR Pass? I am staying at APA Hotel Nishishinjuku for my entire stay.